There are places where cultural history is so strong that you can’t really claim to have visited if you don’t immerse yourself in it. Missing it would be missing the point. The Deep South is one of those places and the Blues are as important to its shared past as is its celebrated cuisine. Born out of hardship and misery, the Blues spawned an era of incredible music. Everything from Country to Hip Hop, and everyone from Duke Ellington to Usher, has borrowed and built upon Blues riffs and rhythms. Our goal was to experience it firsthand, close to where it all started, in a divey bar off the main strip. Phil Brady’s in Baton Rouge was as good a place as any. I had no doubt we’d hear great music, but assumed we’d listen to an unknown local band. Not so. The best selling blues artist of the 21st century just so happened to be playing a single gig in his home city while we were in town. 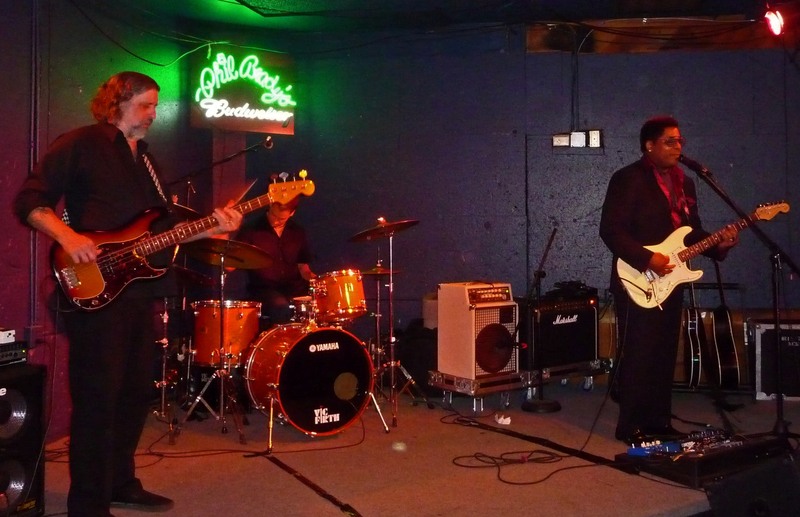 It’s not every day you get a chance to see a gold-record artist like Chris Thomas King jamming in a small venue, so we jumped at the opportunity. Neither of us were familiar with King’s work before we saw him in person. And for me, that is usually an obstacle to really enjoying music. A lot of songs have to grow on me. I may think they’re O.K. the first time I hear them, but it isn’t until I learn the lyrics or the rhythm that I really get into it. This was a completely different experience. Nearly all of his songs had a beat and sound that made you want to move. Everyone else felt it too, as a number of folks got up to dance in the small space in front of the stage. So it was a surprise to learn that King originally met tremendous resistance to his style of contemporary blues. No resistance was on display that night. He brought the freaking house down.